You’ve designed your theater room with plush sofas, luxurious rugs, and abundant throw pillows in rich soothing tones. Lighting, shading and climate control adjusts easily with voice or touch control. You’ve got top of the line audio performance tucked into the walls surrounding the room with awe-inspiring sound quality. 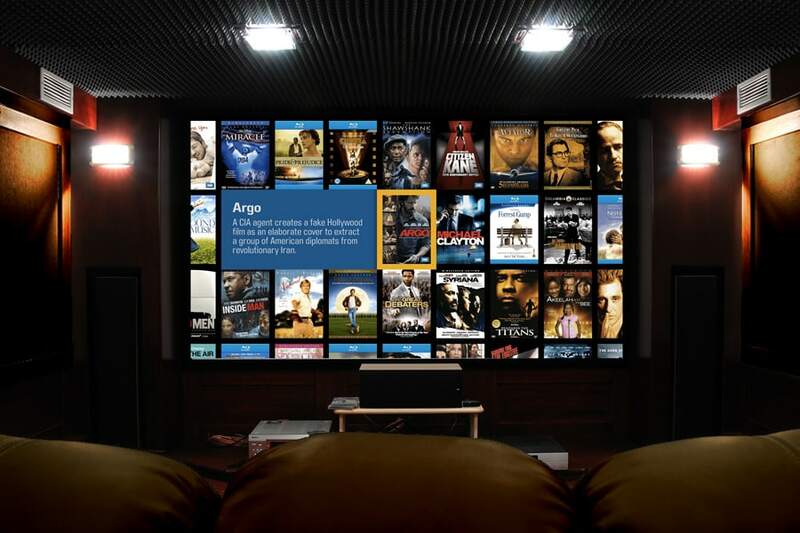 Now…which Home Theater System or Streaming Service do you choose to fulfill your entertainment desires? 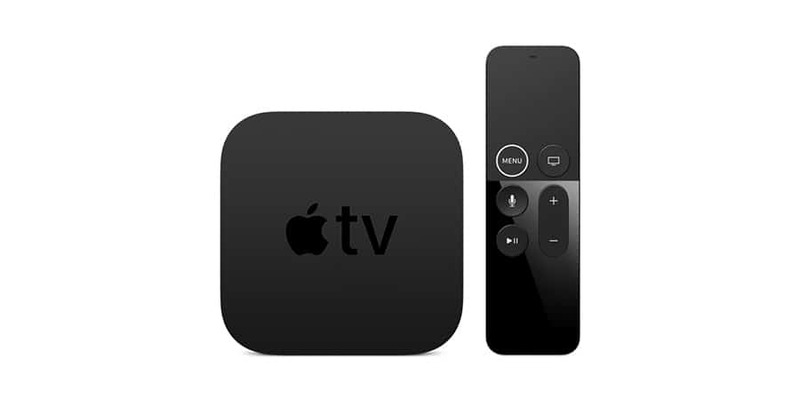 Kaleidescape and Apple TV are the most comprehensive services on the market currently. 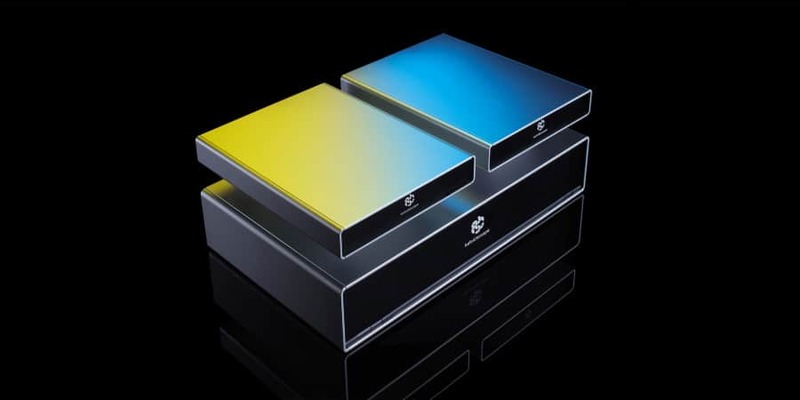 Both Kaleidescape and Apple offer the most competitive, highly coveted technology that everyone is seeking, 4K HDMI. With the latest and greatest on board, viewing quality is sure to provide a glorious experience. Kaleidescape is the larger investment in financial terms, but it also delivers movies weeks before they are available for general release. If iTunes, Vudu, UltraViolet or Hulu has it, then Kaleidescape absolutely does as well. Kaleidescape is outfitted with an extra feature (the Alto) that allows you to upload your DVDs into the operating system, so they are forever digitally accessible. Apple TV also has an impressive comprehensive media library, with endless choices, and the cool perk of voice control capabilities. Both Kaleidescape and Apple TV come with sleek unobtrusive hardware, as well as iPad and iPhone apps. Their user interface designs are simple and intuitive. Overall, they are both robust systems that offer the best features available on today’s market for audio and visual quality entertainment. If you don’t want to give up the remote control yet, Roku and Amazon Fire will put a magic wand in your hand. They also have smart-phone app capabilities for ease of control when you are running from room to room. Both services feature 4K HDMI for amazing picture quality and sound. Although viewing choices are somewhat limited with Amazon Fire, it can be activated with voice command. And it travels well. Movie night on your friend’s new giant modular TV can be your treat, with the Amazon Fire app. Smithsonian Earth is available on Roku, streaming beautiful images of nature and wildlife in 4K HDMI, to connect you with the natural world. Of all of the streaming services, Hulu is the most comprehensive, intuitive and user-friendly service offering add-ons like HBO and Cinemax. Currently, 4K HDMI selections from Hulu are limited, but with so many options for excellent cinematic quality, rich with compelling thought-provoking content, it is still a worthy service. Take a deeper look into Hulu and you’ll find an extensive international library. If you are excited about the history of films that shaped cinematography as it exists today, you can access the Hulu Criterion collection, and study up on movies that influenced world renowned directors. You’ll also have the ability to customize your queue so algorithms match you with films that you might love, taking the guesswork out of what to watch when you sit down after a long day. Worthy of mention is the Google Chromecast. It is capable of streaming 4K HDMI, but also gives you access to your photo libraries, calendars, news streams, and email. Your television can transform into an information hub. Although it requires a very strong internet connection to run smoothly, you’ll have access to plenty of entertainment from the media libraries as well. The choices available for you Home Theater systems are abundant, with vast media and information options. Kaleidescape or Apple TV will give you the most comprehensive theater-like experience. However, the other services offer rich content and 4K HDMI quality to keep you satisfied with endless possibilities as well. Choose the service that will provide you with the movies you love, lay back, relax, and dim the lights. It’s showtime! “Responsive Living”, the term coined by Acoustic Architects founders, Aaron Flint, and Spencer Hauldren, is the concept of seamlessly enhancing the client’s unique lifestyle using smart home technology. Responsive Living allows you to interact with your space via touch input, voice command, and predictive automation, placing you in full control of your home. If you would like to learn more about Home Theater Systems, feel free to connect with us. We will be happy to schedule a demo with you.